When your garage door is operating smoothly and properly, it is easy to overlook that it is actually the heaviest moving object in your home. Garage doors are extremely heavy – weighing hundreds of pounds – and can cause catastrophic damage and injuries if you’re not careful. At Action Garage Door, we want you to be as secure as possible – here are some garage door safety tips to help keep you that way. It is extremely important that you make sure your children do not have access to either the remote control or the mounted access panel. The panel should sit at least five feet off the ground so that a small child will not be able to reach it. Another very important garage door safety tip is to always watch the door until it is fully opened or closed. That way you can keep children or pets from trying to enter or exit your garage while the door is in motion. 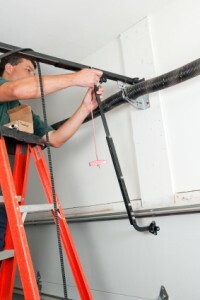 Make sure all moving parts are kept properly maintained. Have them lubricated on a regular basis to ensure your door continues to operate smoothly and safely. Never put your hands anywhere close to your garage door while it is in motion. If your garage door is not working properly, don’t try to perform any sort of garage door repair on your own. You could be seriously injured or even killed by electrocution. Also, don’t try to work on the cables or springs – always leave this type of work to a trained and experienced technician. The cables and springs are under extreme tension and could easily snap and cause a severe injury. Let the professionals with Action Garage Door take care of any issues you may be experiencing. We are staunch believers in garage door safety, and we don’t want you or your family to ever suffer harm. Contact us online or call us at 972-254-4040 to have us come to your home and make sure everything is in proper working order. Do you have any additional tips you’d like to share? Let us know by clicking one of the social media icons on this page.